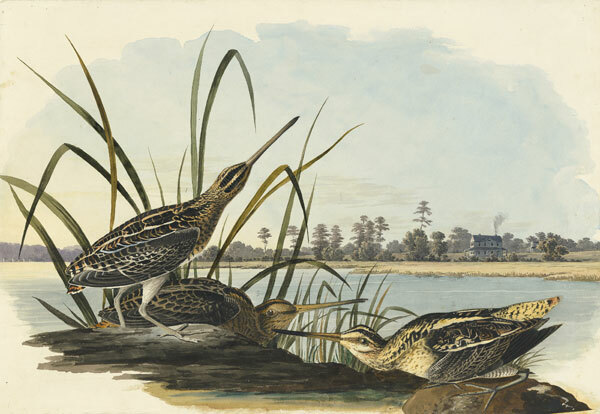 Part III of the highly acclaimed tripartite series Audubon’s Aviary: The Complete Flock will continue showcasing masterpieces from the New-York Historical Society collection of John James Audubon’s preparatory watercolors for the sumptuous double-elephant-folio print edition of The Birds of America (1827–38), engraved by Robert Havell Jr. Part III of The Complete Flock will highlight Audubon’s watercolor models for Havell plates 306–435 (fascicles 62–87). 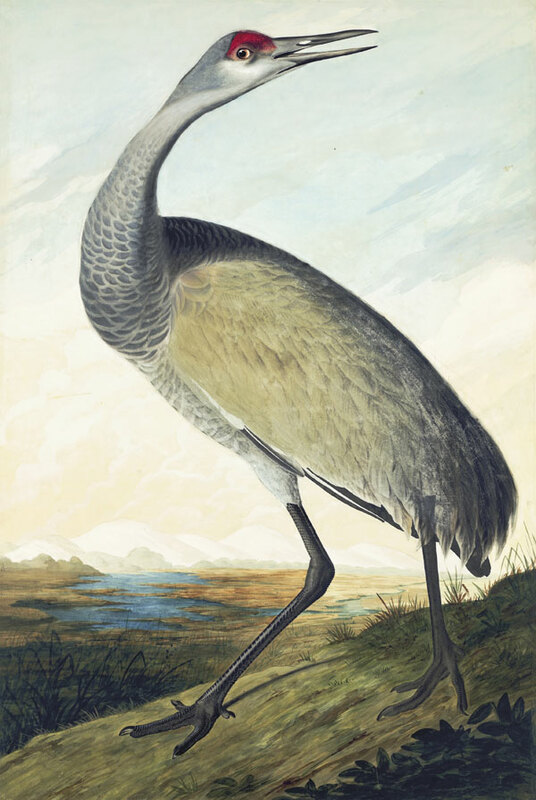 At this time he was rushing to complete his great work and, therefore, represented the outliers and western species to bookend the North American continent. 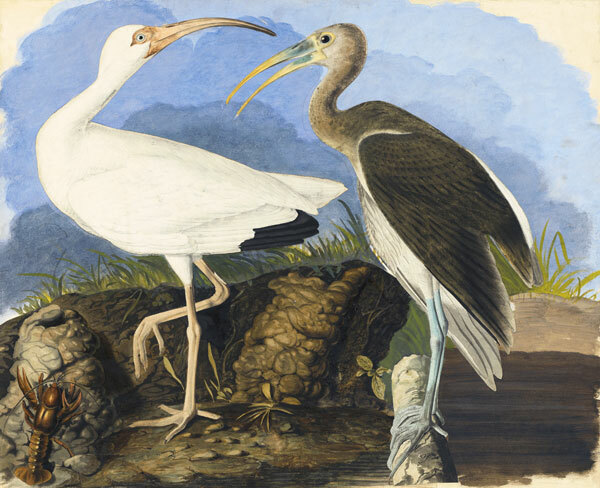 Considered America’s first great watercolorist, the legendary naturalist-artist rendered his birds in unparalleled life-size scale. 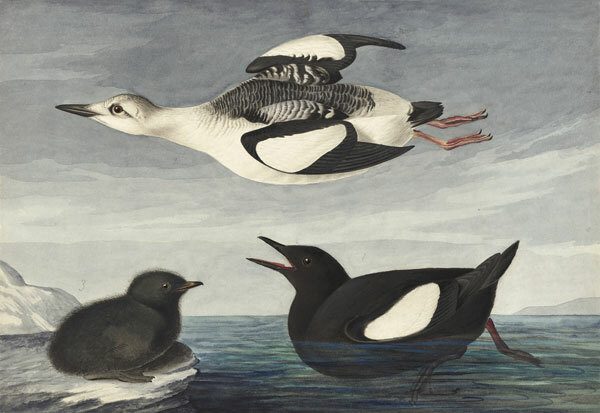 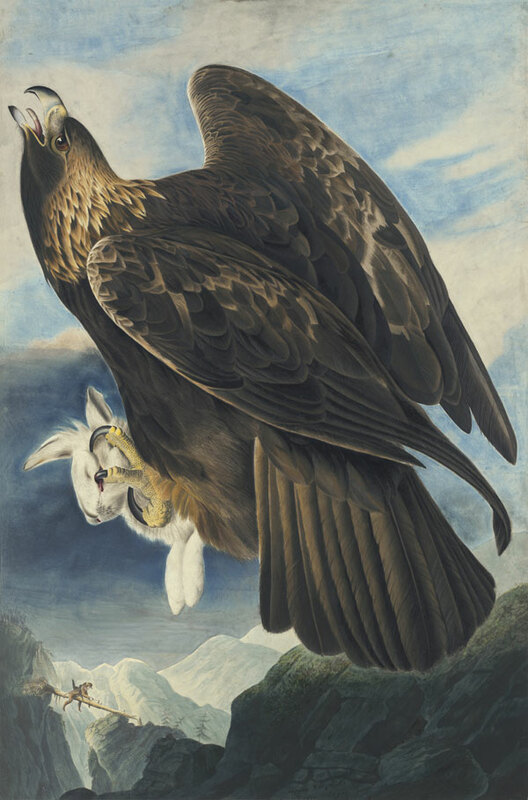 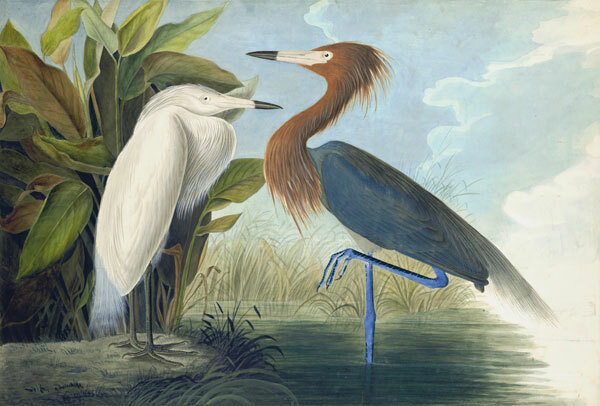 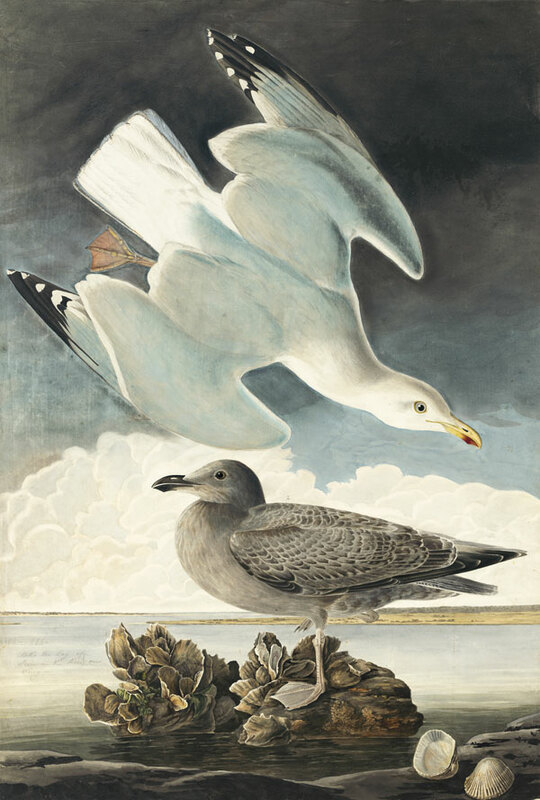 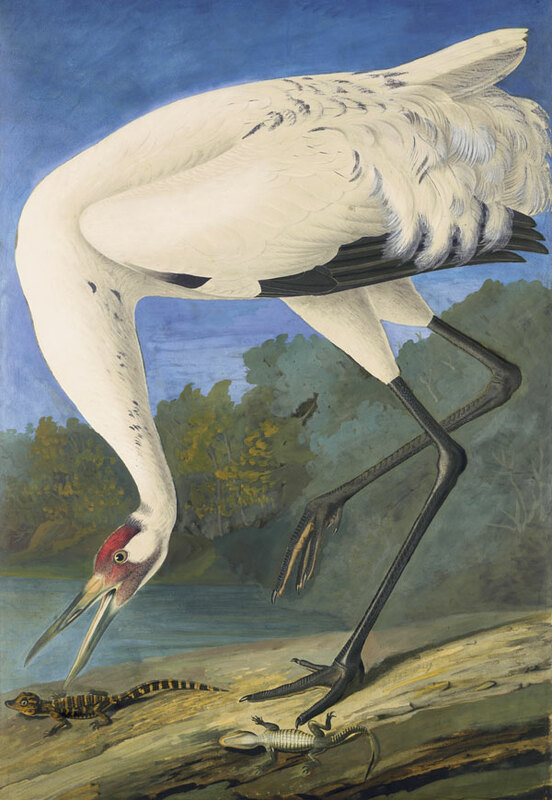 His years drawing portraits to support his family, coupled with his passion for drawing birds, enabled him to capture the individuality of each species in inventive tableaux. 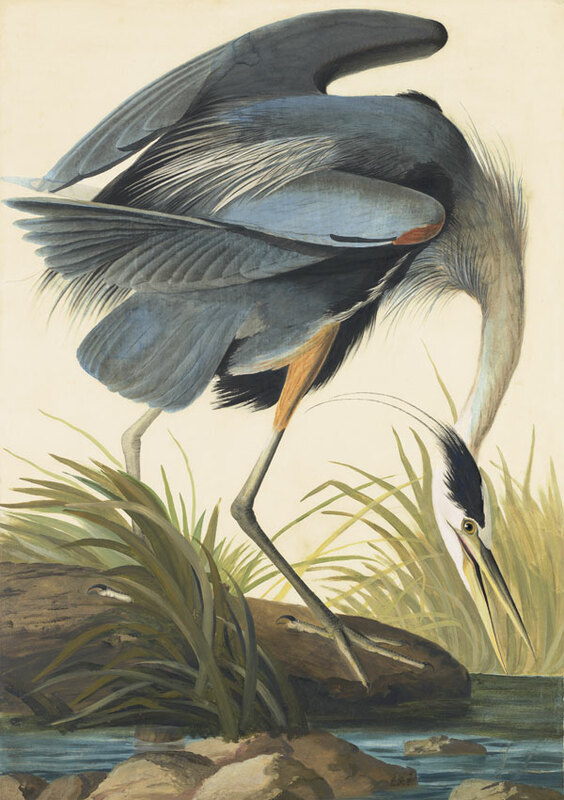 Since every avian watercolor is based on a lifetime of observation and study, they characterize the essence of each bird in arresting, often cinematic, images that soar beyond illustration to magically capture the fragile, often brutal and endangered balance of nature. 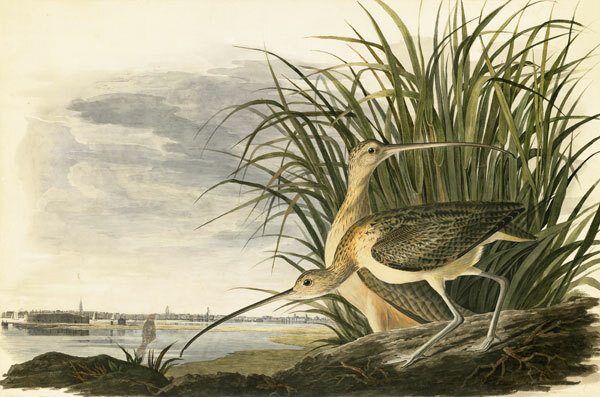 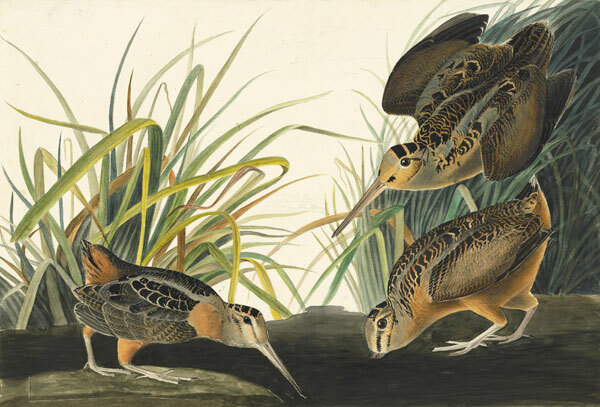 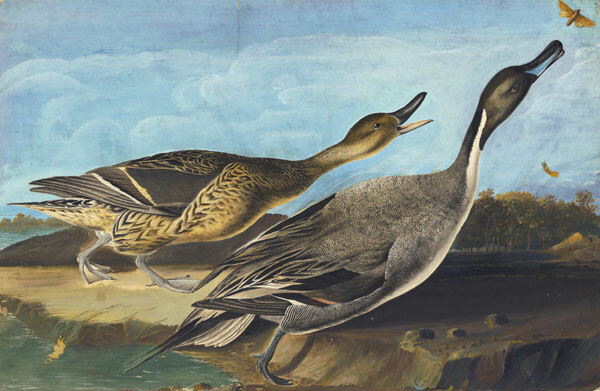 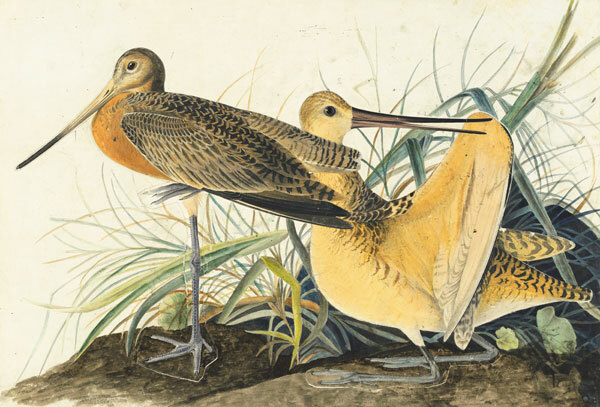 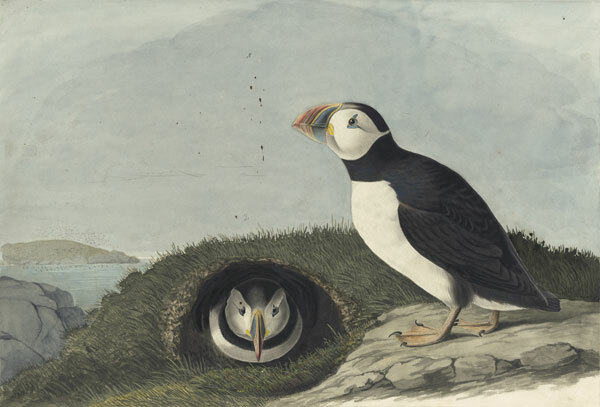 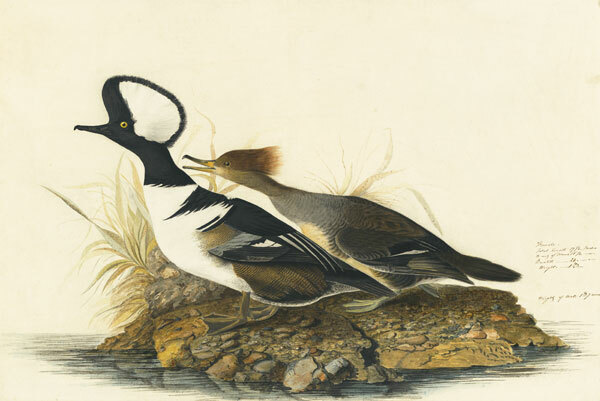 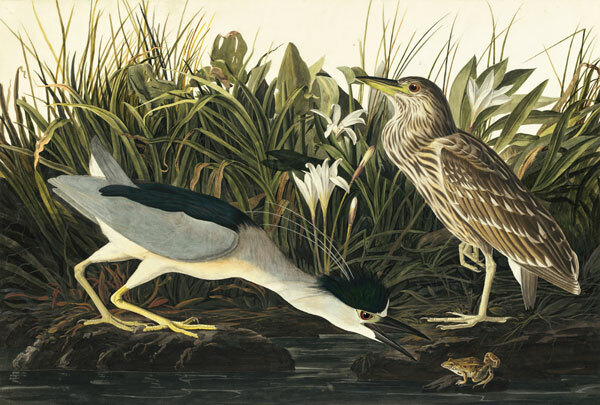 With Audubon’s peripatetic existence, the survival of this trove in such pristine condition is miraculous. 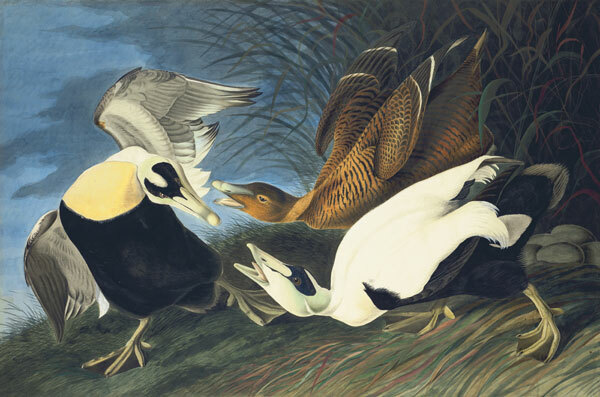 Featuring new findings about the artist’s working methods and his ornithological and artistic influences, Audubon’s Aviary will illuminate his true genius. 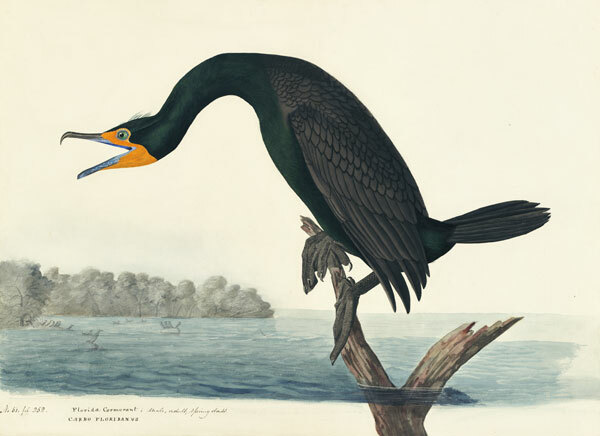 The series reveals the multiple reasons why history has deemed Audubon an American icon and New-York Historical’s watercolors a national treasure. 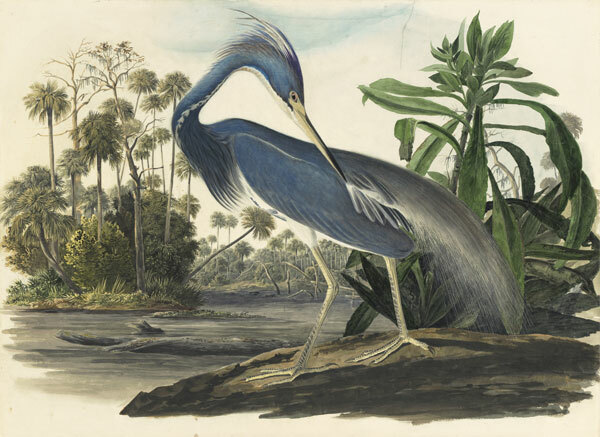 This once-in-a lifetime trilogy explores Audubon’s dazzling watercolors in the order in which they were engraved, affording visitors the unique opportunity to view them sequentially, like his original subscribers, and in their entirety. 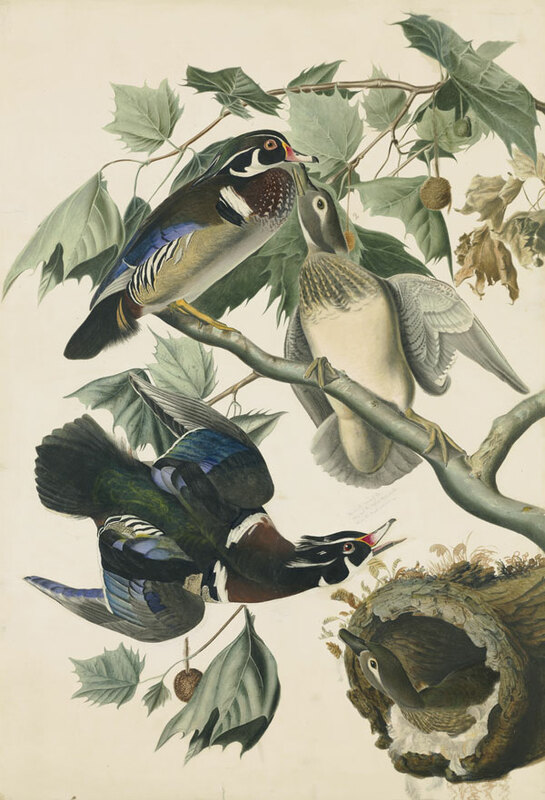 Audubon organized The Birds of America not by traditional taxonomic order, but according to his aesthetic and practical judgments. 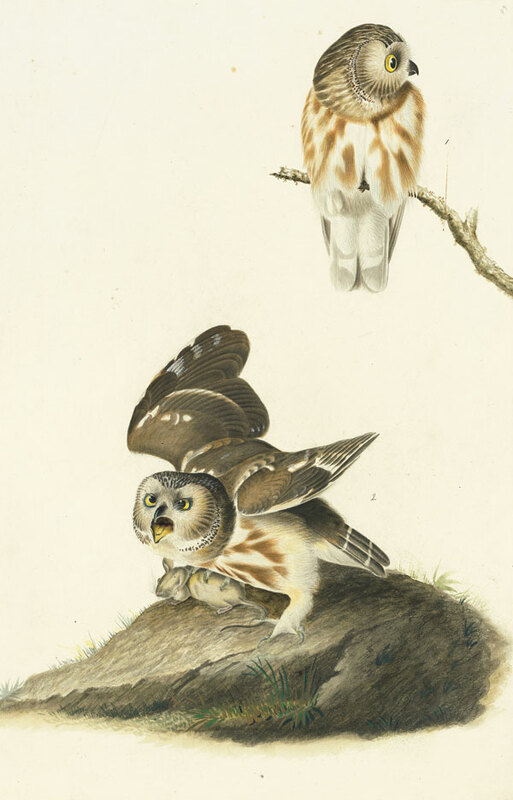 He believed this manner of presentation was closer to that of nature. 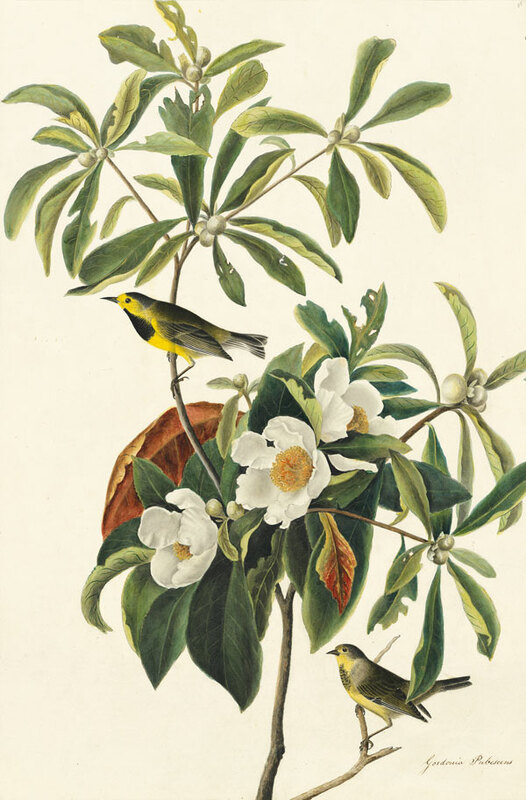 Bird songs of all the species exhibited and videos will underline the importance of field observation for the artist and the conservation of avian species, which are the canaries in the coalmine for planet Earth. 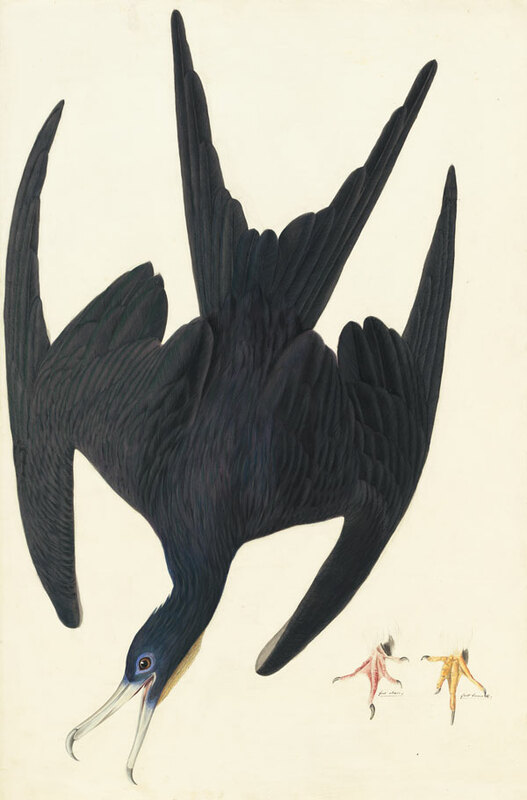 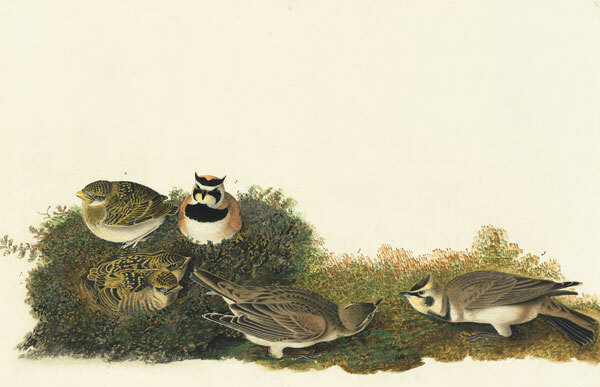 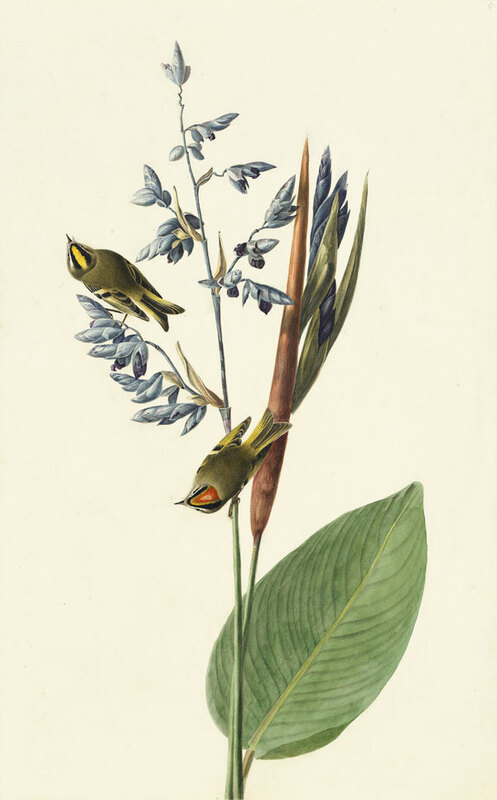 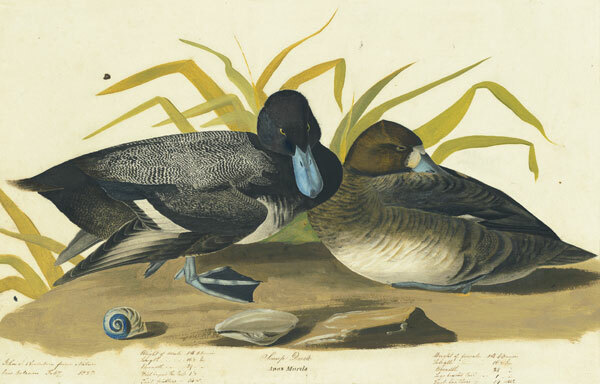 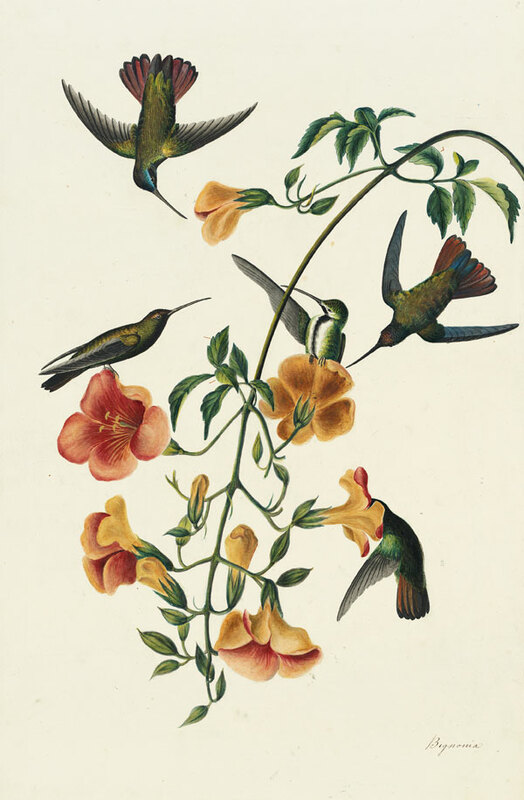 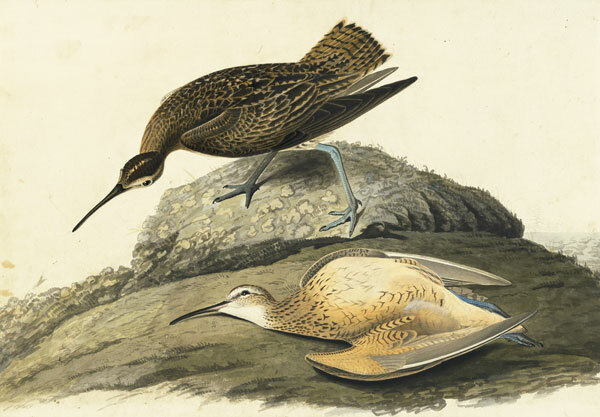 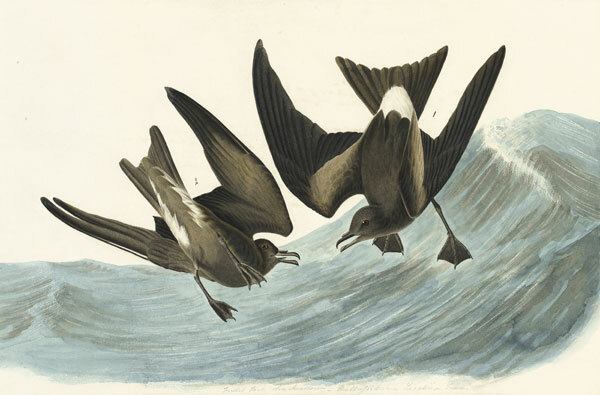 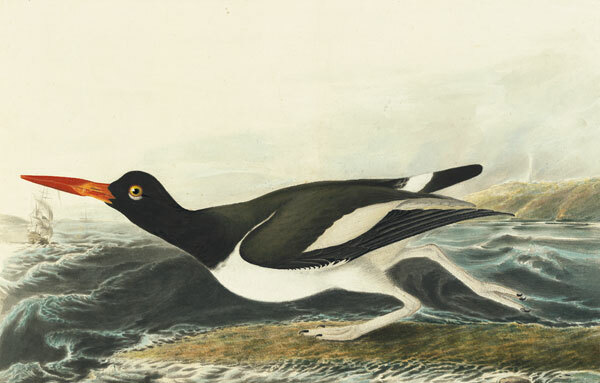 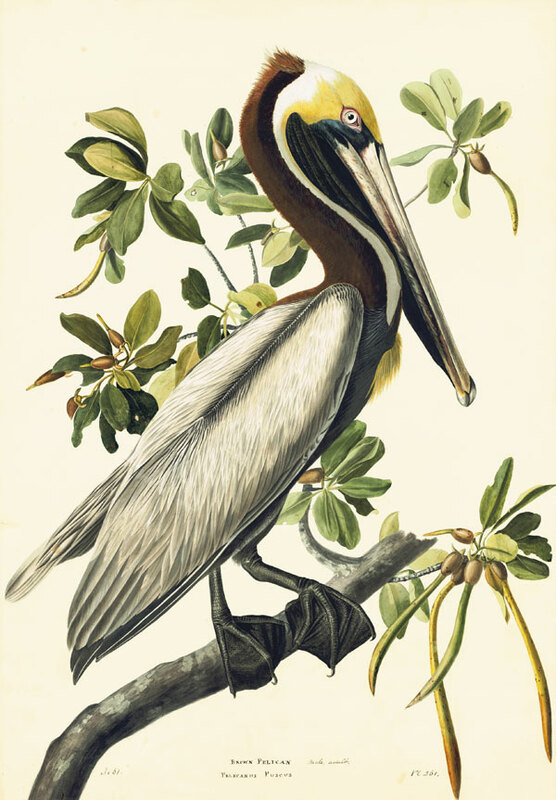 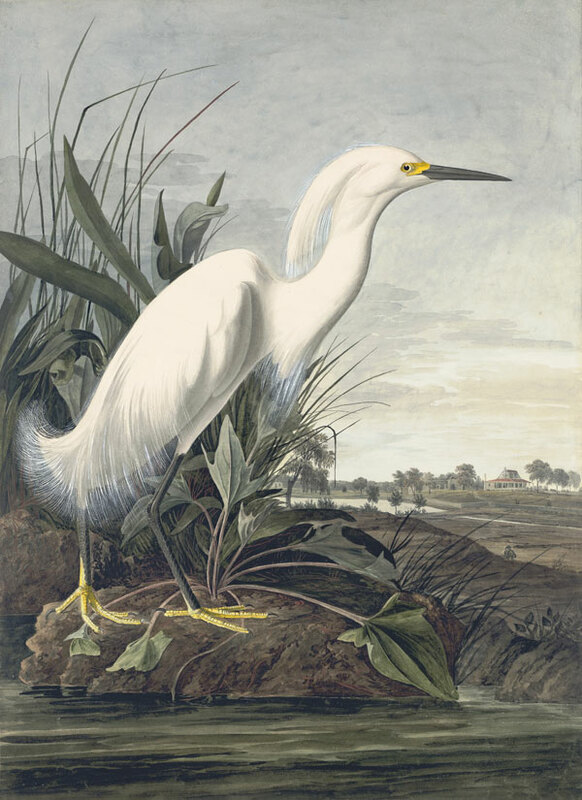 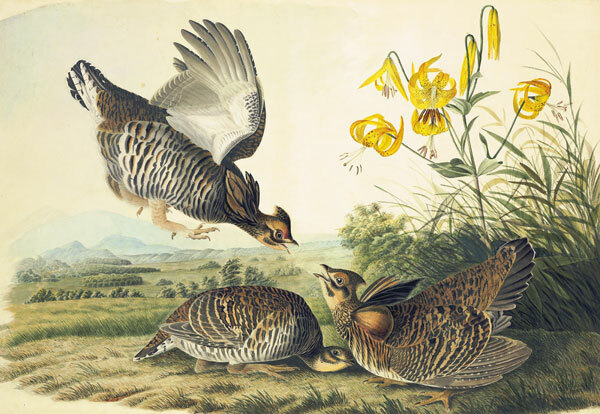 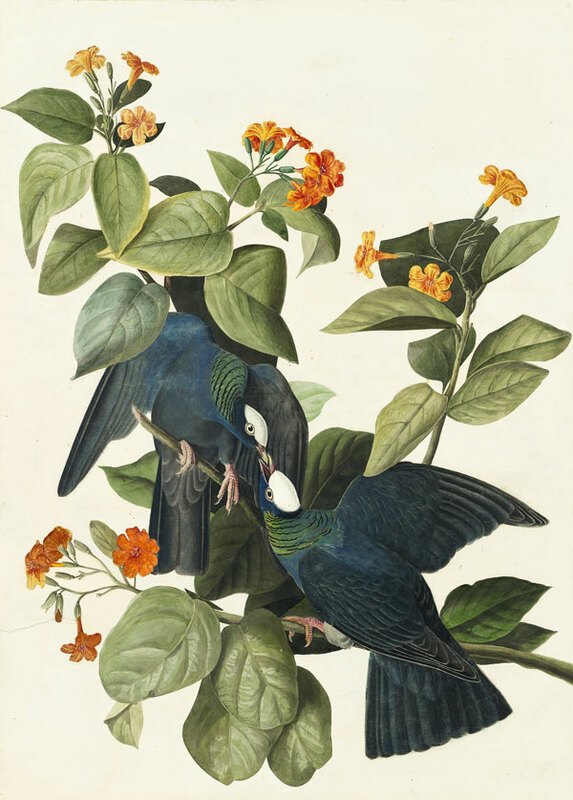 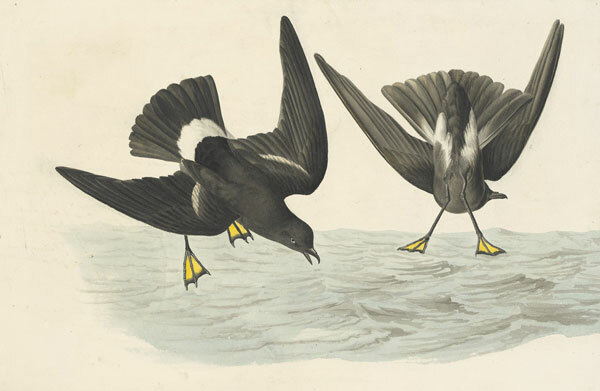 In addition, one of Havell’s copper plates and volume four of New-York Historical’s copy of The Birds of America, whose plates will be turned weekly, will also be exhibited.